Mom and Tanner have been taking the longest bath in history today while Dad sat snapping away with the picture box. I got left inside. Can you believe it? I gave mom one of my looks when she came inside and so she patronized me by snapping a couple of pictures of me with the prizes. Hmmm....It's not the same as being the featured model. She's giving away a bunch of nice bath stuff--towels, aprons, bath mitts, sponges for cleanup, and a cool tote bag that has a great saying on it. 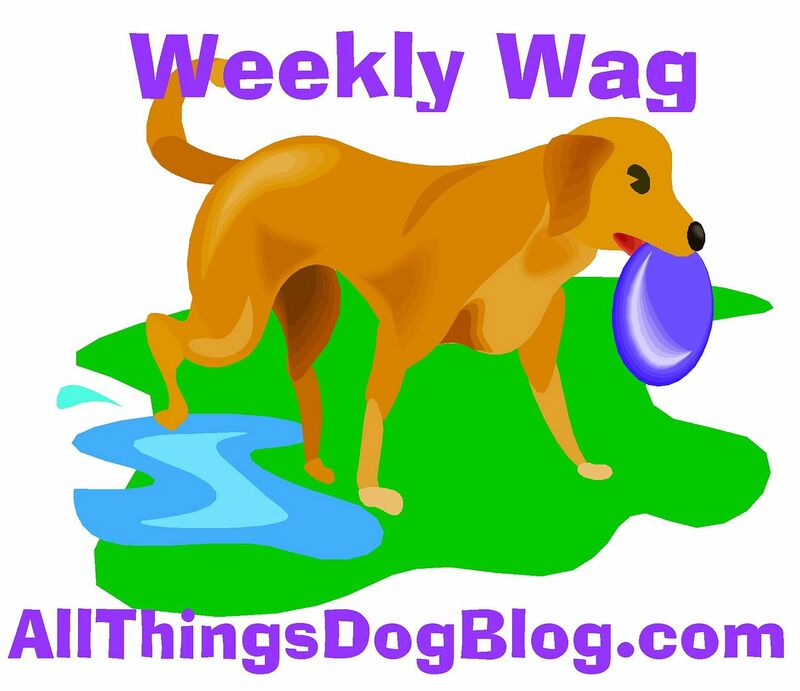 You should check out the giveaway over at All Things Dog Blog. Why miss out on stuff this neat? Happy Birthday Tanner! You're 5 Now.